The PM 675 FLIR Thermacam is a top of the line thermography camera that used to sell for over $50k. This is your opportunity to own this powerhouse at a fraction of the price. The unit features a super sensitive 7.5 to 13 µm uncooled FPA thermal detector that produces stunning high resolution infrared images & video with voice annotation. It has built in measurement modes to enhance your imaging including spot (up to 5), area (up to 5), isotherm, line profile and Delta T. The integrated emissivity, optics transmission & atmospheric transmission correction add to the system’s accuracy for precise temperature measurement. Thermal images can be stored as 8-bit BMP files and thermal video output is in NTSC/PAL and S-video format. 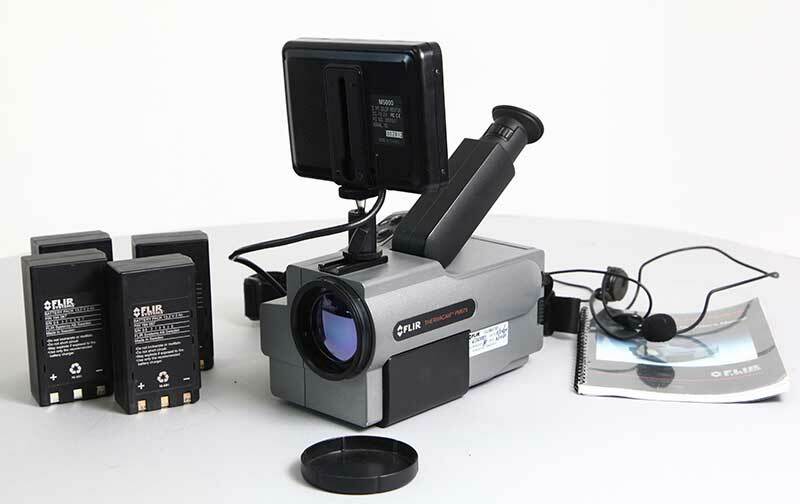 The large LCD TFT display completes the FLIR camera system with a whopping 640 x 480 resolution. This used FLIR camera has been taking up valuable real estate in our warehouse and must go! It’s got all of the bells and whistles and is being sold at a huge discount! The model powers on and works well, and would be a great buy for anyone looking for a powerful thermal imaging system for laboratory, industrial, medical, or even home inspection use. This Thermacam PM 675 is sold in as is condition, so there are no warranties offered, nor can we accept returns or exchanges of the item. All sales are final. 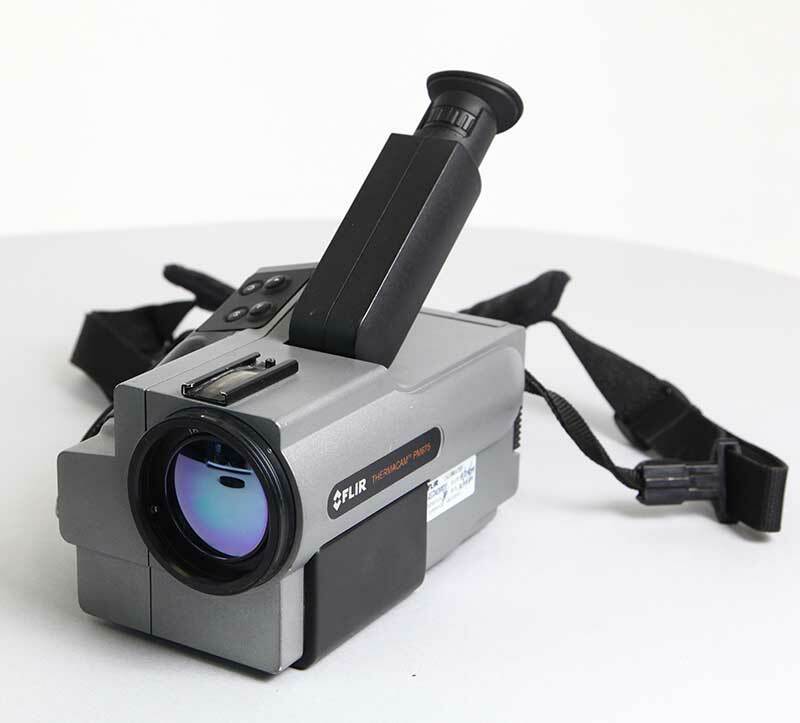 Kit contents: Thermacam PM675 used FLIR camera, hard carry case, 4 batteries, battery charger, LCD screen, eyepiece, manual, PCMCIA card, headset. 8.7″ X 5.2″ X 5.5″ Dimensions: Weight: under 5lbs.